The teachers at St Joseph's are currently benefiting from support in the delivery of curriculum dance. With the school using some of the Sports Premium Funding to employ a dance specialist to work alongside the teachers, everyone's a winner! 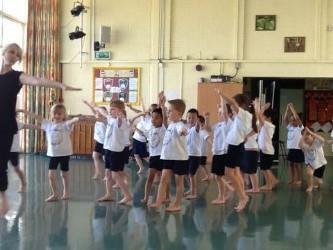 The children receive high quality dance tuition and the teachers are supported in their delivery of this subject area. The dance ideas are current and inspiring and the children (and teachers) seem fully engaged in the process.